PLANS BY THE Minister for Public Expenditure and Reform to cut the allowances of Independent TDs and Senators have been sharply criticised. Minister Brendan Howlin published a report on Monday that proposes to cut the allowance, which cost the taxpayer €7.5 million in 2011. Under the system, Independent TDs drew down an average of nearly €40,000, while Senators received €23,000. The reforms will see Howlin introduce an auditing process to the unvouched scheme that will add new provisions to how money can be spent. However a number of independent TDs have told TheJournal.ie that they are being unfairly targeted and that any cuts to allowances should be made across the board. Dublin North-Central TD Finian McGrath says that he would support a number of cuts to allowances, as long as political parties took the same cuts. “I’ve always said that I am in favour of reforms, as long as it goes across the board. There is a perception that only independent TDs receive funding, but political parties get much more public money than we. 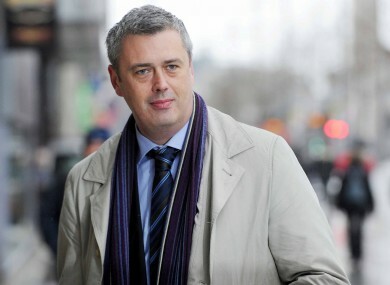 McGrath said that he, and other TDs, could get by with less expenses, but that his allowance allowed him to create jobs. “I employ people and carry out research with my allowances, but we could definitely take a 50 per cent cut in certain expenses. Former Labour Party TD Colm Keaveney says that the system is weighted in favour of political parties and against people who, like himself, leave a parliamentary party. “It is unfair that a large number of emerging independent TDs don’t get any allowances paid to them after leaving the party. The system is just wrong. The Labour Party benefits from €250,000 in allowances that are paid in respect of TDs who have left the party. Keaveney added that there is ‘no difference’ in his function and that of a party TD. Kildare TD Catherine Murphy says that she uses the allowance to employ someone and ‘has no problem’ with vouching her expenses. A spokesperson for the Labour Party said that the system ‘works both ways’. Email “'The system is wrong.' - Independent TDs react to plans to cut Leaders Allowance”. Feedback on “'The system is wrong.' - Independent TDs react to plans to cut Leaders Allowance”.